You ask what makes all of this so special? I really don’t know what special means – our approach is just very open, transparent, carefree, and without fear – we are not afraid to chase wild product ideas that are a real pain to complete … these are the type of projects that really excite us and I think that’s why we’ve been able to come out with some unique concepts that are genuine innovations in the Indian market. How did you go about building up the team? I got back to India in 2010 after being way for a few years, and two days later opened up the office. I didn’t have any network here and at that time my only friend was the yellow pages. I remember looking for HR consultancies and then speaking with a bunch sharing the type of person I was looking to hire. I was very clear that I wanted a young team and I preferred freshers who were inexperienced but had a set of balls. No one really gave me a break when I got out of college, no one believed in me. If someone doesn’t take that first step of faith in a person, that person can never begin. So this was my way to give people that chance, and also to prove that a company can be built with a team of young kids who may not have any experience but have guts, determination, and who dare to dream. 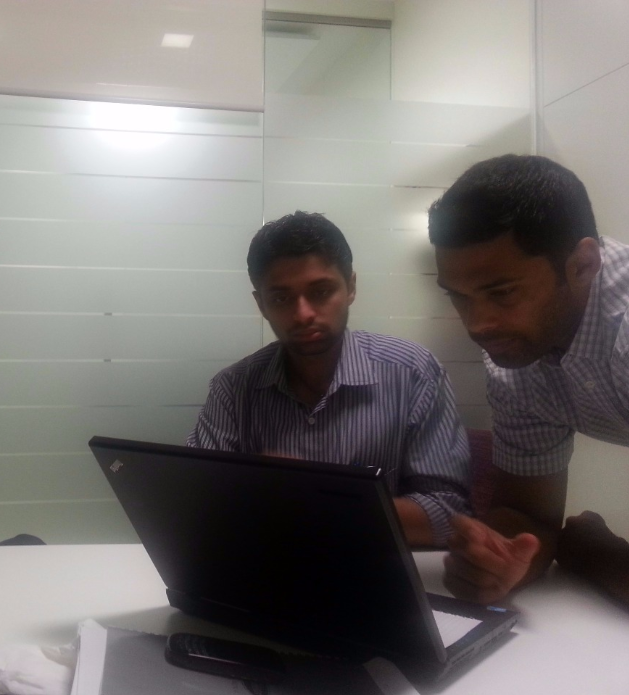 A few days later Ameya came in for an interview, 21 and fresh out of college. He was virgin enough to get carried away with my vision – so he came on board. Since then, we’ve built the team slowly and pretty much all those who’ve joined have been right out of college with Unived as their first job. Everyone who joined in the early days is still at Unived – and I doubt they will ever leave. Tell us some of your challenges that you faced? Oh man, tons. It has been a very long and hard journey, and will continue to be. Unived is an ant trying to climb a big mountain, the effort is hard, rewards come in small crumbs, and the fact that we can be crushed anytime continues to remain a reality. When you’re against the tide, every step is a challenge. Can you give us some tips to deal with the summer heat? Get a glass of water, throw in a bunch of ice, and keep yourself hydrated. If a cyclist is looking for products, which products would be a must for pre, during and post ride? Selecting the right nutrition for your ride depends on a lot of factors. One needs to consider the duration of the ride, the intensity planned, weather conditions, previous nights meals, present physical condition, and a lot more – to get the ‘optimal’ fueling plan in place. This comes with experience and a lot of trial & error. 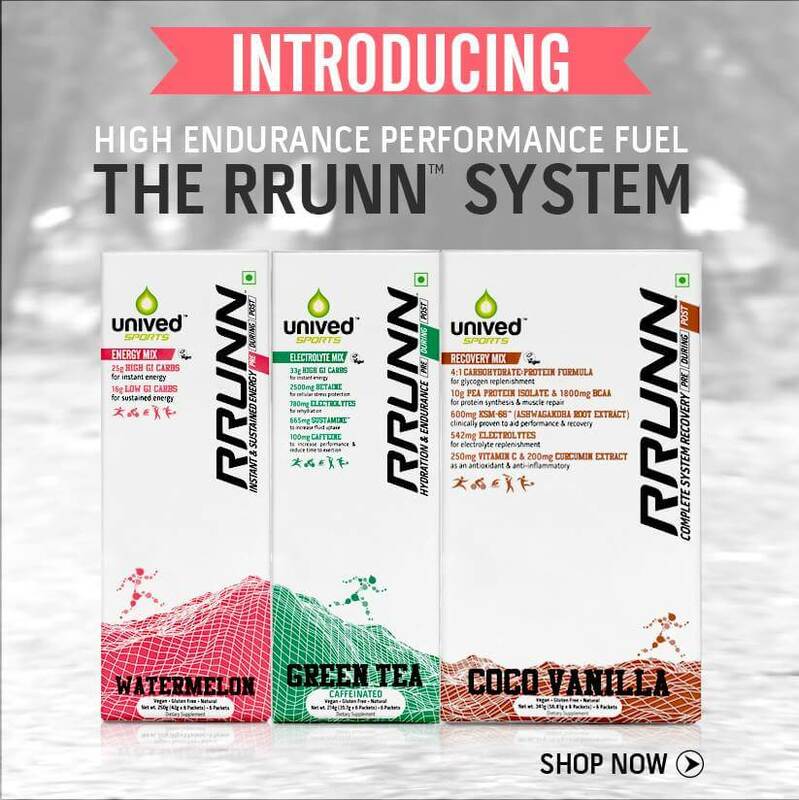 The RRUNN Pre-During-Post system has been built to cater to the three distinct physiological requirements of the body. Pre gives you instant and sustained energy so you start strong and continue long. During, rehydrates you and gives you added endurance while facilitating fluid uptake and protecting you on a cellular level from heat & humidity. Post is the scientifically proven 4:1 carb:protein formulation with some phytonutrients like Curcumin and Ashwagandha – to give you a complete system recovery. Post-exercise recovery is one of the most crucial components for an athlete – and the one that is most neglected. We also have salt capsules, Endurance Gels, and other supportive products like Algae Calcium, Plant-Based Vitamin D3, and Plant Based Protein. Any products you would want to suggest cyclist? I would recommend going through our sports nutrition products on our site. Each product can contribute towards better performance and recovery. Just like we go through different types of training during the week – it is important for the person to try the various products and to understand the true potential of the product and then make an informed decision on what should be used and when.